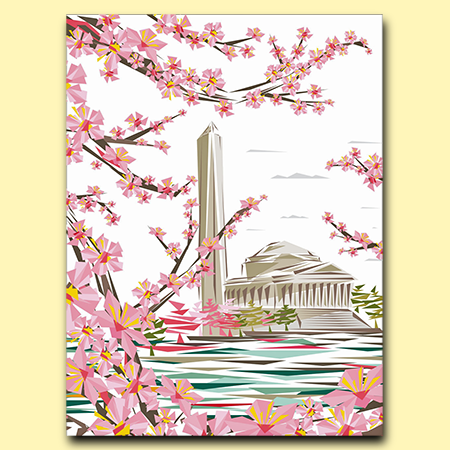 2017 Official National Cherry Blossom Festival's official artwork, created by D.C.-based artist Naturel. For each poster sold, $1 will go to the Trust for the National Mall's Cherry Tree Endowment Fund. Naturel is known for his work with celebrity clients such as Swizz Beatz, Rihanna, Spike Lee, Paul Rosenberg and LeBron James, among many others.